Protect the quality and safety of your finished products with a vast selection of high quality base products, supplements, and special blends, including a wide range of animal-free formulations. All of our dehydrated media is tested for quality and performance before, during, and after manufacturing to make sure our finished product meets the needs of your finished product. 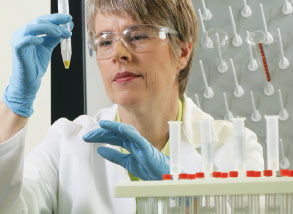 All the familiar formulations that you use to ensure your lab performs optimally are right here at your fingertips. Dehydrated Culture Media is available under our legacy brands, Thermo Scientific Oxoid and Thermo Scientific Remel. Deliver the incubation environment microbes demand. Find a variety of formats and sizes of gas generating supplies to help you maximise incubation space and organism growth at the same time. All of our environmental solutions are designed to deliver the anaerobic, microaerophilic or CO2 conditions you need for microorganisms to thrive.